The patient’s main complaint is migraine headaches since age 24. Before the remedy she could have migraines up to 4-5 times a week! Before the migraines came on she would have a “tightness” in her head. She’d also have a pain in her occipital and/or temple region. Migraine was severe pain behind one eye or the other, never both. Pain? As if someone were twisting the muscles or nerves connected to her eyeball. Concomitant: bones in face as well as teeth painful, jaw extremely sore and all the skin on her head extremely sore from face to scalp. This tenderness would continue for up to a day after the headache was gone. Light felt like a knife in her eye. > massage, > ice on head and eating ice, > walking outside in cool air, < hot humid weather, < any motion of head << cigarette smoke, < after stressful event was over. The patient is a friend of mine and I have known her for many years. She is very feminine and lively, always with red lipstick and elegant clothes, fun-loving, very generous and a good friend. She has a seductive mysterious quality as well and I have nick-named her dragon lady. She has milky white skin and long black shiny hair and looks like Mortisha on the Adams family. She lives alone with three cats who she is very fond of. She is a jeweler and has always been very interested in the occult. 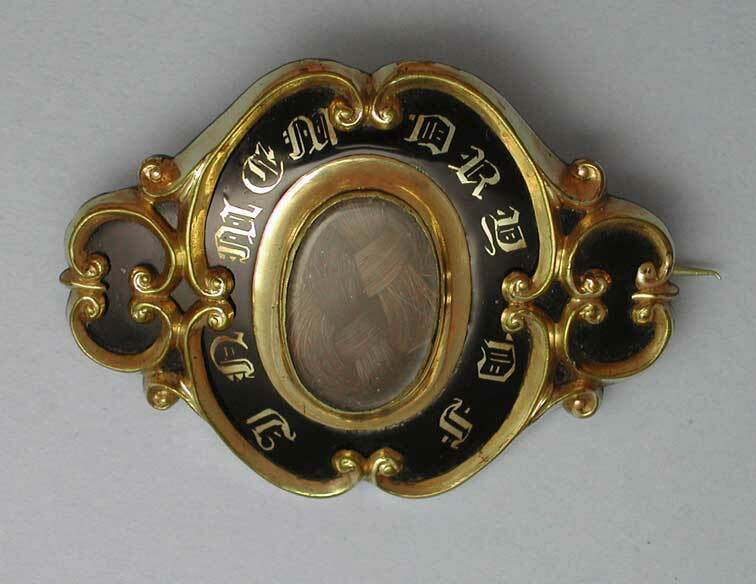 More recently collects mourning jewelry, antique lockets or pins of those who died prematurely. One day when having lunch with her, she wore such a locket with a photo of a deceased woman from the late eighteen hundreds on one side and the deceased’s woven hair on the other, around her neck. I took her case as if I didn’t know her. Disposition/personality? Pretty friendly but can get melancholy but keeps it to herself pretty much. Melancholy? It’s a feeling like sorry almost like tragedy. I’m not negative so is not pessimistic – but kind of colors things for me. Tragedy? The holocaust which my family had to go through (Father’s mother and brother and grandmother died in Auschwitz; mother also lived through holocaust) – it can be parts of my childhood – it can be the nature of the world that we live in. Father had a violent temper growing up. First time she thought of suicide was at age 8 or 9. Got a low grade on report card and thought she would have to kill herself or he would kill her. “Pervasive feeling of a death sentence”. Recurring dream since age 4 or 5. I was going to be executed by a firing squad. I would say to a man please don’t kill me, please don’t kill me. He would say I really don’t want to but you know I have to and I would wake up just as I was shot. As early as 5 years old she was obsessed with the Salem Witch Trials; she took out books from the library on them in kindergarten. Father would say to her regularly: - “I’m going to murder you, I’m going to string you up, I’m going to crucify you, I’m going to hang you”. She asked her teacher, “What does crucify mean”? Once at age 15 her father tried to strangle her. She felt it was the only time her mother tried to protect her and pulled him off of her. Patient fought back as she got older. Age 15 in self defense I smacked him and I took the glasses off his face – I ran outside to the tool shed – I got a pitchfork and I ran back to the kitchen. He went to hit my mother and I threw a bottle at his head. Dream had 10 years ago: devil came to her put a finger on her forehead and said that he was the cause of her headaches. Food: favorite: avocado. Likes nuts, shrimp, certain fruits when so perfect. I put two rubrics together: dreams of devils and delusions of devils and looked at the remedies. Absinthinum was there and the patient fit the description from Lou Klein’s Clinical Focus Guide. 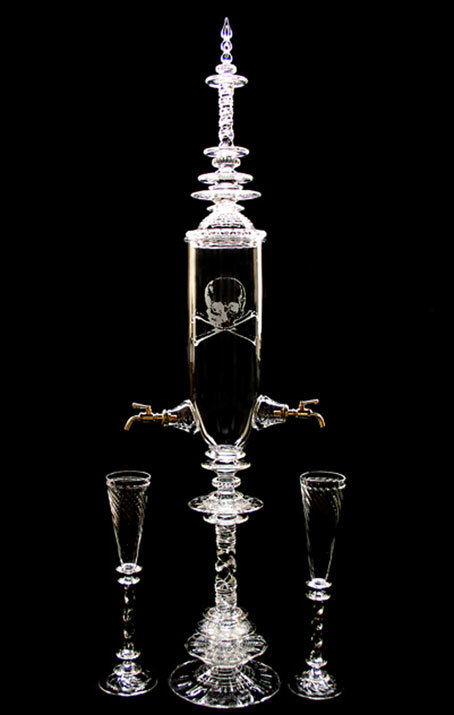 Absinthinum can also be found in the rubrics: “fear of being murdered”; “delusions, murdered he will be”. Absinthinum is a remedy for convulsions and Lou had taught that a migraine is a kind of convulsion. The patient did very well on the remedy. She stopped having migraines right away. They did come back sixth months later after a shooting close to her house in the middle of the night. I took this to be the same core issue of danger to her life. Repetition of the remedy took them right away again. It has now been 9 months. Under extreme stress the patient will get a tension headache every 2-3 months but she no longer gets migraines.